The Federal Reserve said in a report to Congress that the central bank sees little reason to raise rates more than three times in 2018. The Fed had already penciled in three rate hikes for 2018, but in spite of higher than expected inflation data, the report suggests that the Fed won’t move to hike rates more aggressively. US equities rallied after the release of the report and the 10 year Treasury note yield, which had spiked earlier in the week, sank to close the week lower. Bridgewater Associates, the world’s largest hedge fund, increased its short positions in European equities to $22 billion. The firm cited uncertainty about Italy’s upcoming general election on March 4th, which is currently a toss-up among the center-left, a right wing coalition, and the far right. However, some analysts noted that the short positions could also be bets against the Chinese economy, as Chinese consumers and European businesses have become increasingly intertwined. The news comes amidst Bridgewater founder Ray Dalio’s prediction that there is a 70% chance of a recession before 2020. However, the news should be taken with a grain of salt, as Bridgewater is not required to disclose its long positions, so no one knows what the fund has on the other side of its shorts. Walmart (WMT) saw the biggest single-day point and percentage decline in its history after online sales growth slowed in Q4 of 2017. The stock nosedived 10% after the retail giant announced that online sales grew 23% last quarter, compared to 50% in Q4 of the previous year. Walmart also reported a 42% decline in net income, which missed analyst expectations. The disappointing results come at a time when expectations for the multinational soared after multiple big acquisition deals in an attempt to compete with Amazon, and the plunge heavily weighed on the Dow (DJIA). Bitcoin and other cryptocurrencies fell sharply after the SEC announced it would be cracking down on unregistered initial coin offerings (ICOs). Unregistered ICOs are considered illegal by the regulatory agency, and the crackdown will be accompanied by more stringent regulation of cryptocurrency markets. Just last week, the SEC charged former cryptocurrency exchange BitFunder and its founder with fraud. The announcement sent cryptos reeling, with Bitcoin falling below $10k once again. El-Feel, a major oil field in Libya producing 90,000 barrels per day, saw significant disruptions in exports as a result of worker protests. Libya’s state-run National Oil Corp. declared force majeure after guards at the oil field protested over pay and benefits. The disruption comes at a time when OPEC has already agreed to cut production to raise the price of oil, and could lead to even higher oil prices. It’s unclear when the labor dispute will be resolved, but in any case, the price of crude oil rose over 3% last week. Major U.S. benchmarks had an up and down week, finishing slightly in the green. 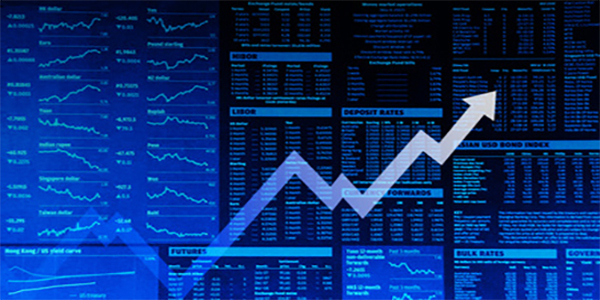 The Dow Jones Industrial Average (DJIA) finished up 0.4% for the week, the Nasdaq Composite (COMP) closed up 1.4%, and the S&P 500 (SPX) finished up 0.6%. European benchmarks had a mixed week as well. The UK’s FTSE 100 Index (FTSE) finished down 0.7%, its best week since December 2016, and the German DAX Index (DAX) closed up 0.2%. Asian markets mirrored the European and US equities markets. Japan’s Nikkei 225 finished down 1.2%. India’s BSE Sensex finished up 1.1% and Hong Kong’s Hang Seng closed up 0.5%. Markets aren’t out of the woods yet. While markets last week performed surprisingly well, reality seemed to set in. The three major benchmarks were actually headed for a weekly loss prior to Friday afternoon’s rally, which came on the heels of the Fed’s report that emphasized the central bank would not be raising rates more than three times in 2018. It’s unsure how much of this is simply to calm markets down, and how much of it is really true. The three rate hikes everyone is talking about were penciled in back in December, prior to the passage of the TCJA and huge spending boost Congress passed earlier this month. It seems the Fed is delaying the inevitable dip in the markets when they tackle inflation more aggressively. Data on the Fed’s preferred measure of inflation, the PCE, comes out this week, and higher than expected inflation could affect the central bank’s calculus on interest rates. Investors still hang onto every word that comes out of the Fed. After the yield on 10-year Treasury Notes spiked to as high as 2.96%, the Fed’s report quickly sank the yield and sent equities higher. Markets tended to read into former Fed chair Janet Yellen’s every word as much as humanly possible, and there’s no reason to think they won’t do the same with new chair Jerome Powell. Powell is slated to testify before the House Financial Services Committee on Tuesday in the Fed chair’s semi-annual testimony on monetary policy, and what he says before Congress could be the difference between a positive week and a negative one. All eyes are on Italy’s upcoming general election. While the Italian general election has mostly flown under the radar in US news outlets, the results will significantly impact the future of the EU and the Euro. The race is currently a toss-up between a center right coalition led by Silvio Berlusconi, the center left, and the far right Five Star Movement. A win by either of the more moderate coalitions would spell good news for both the EU and Euro, but a strong performance by the far right could lead to a second “Brexit,” this time with Italy, and could send European equities into a tailspin. The run-up to the election has been dominated by the issue of immigration, and, similar to the Brexit vote, voters may not care about the economic ramifications of the elections so much as the social ones. Thanks for the update Sidd, specially the bitcoin part. Great Article.